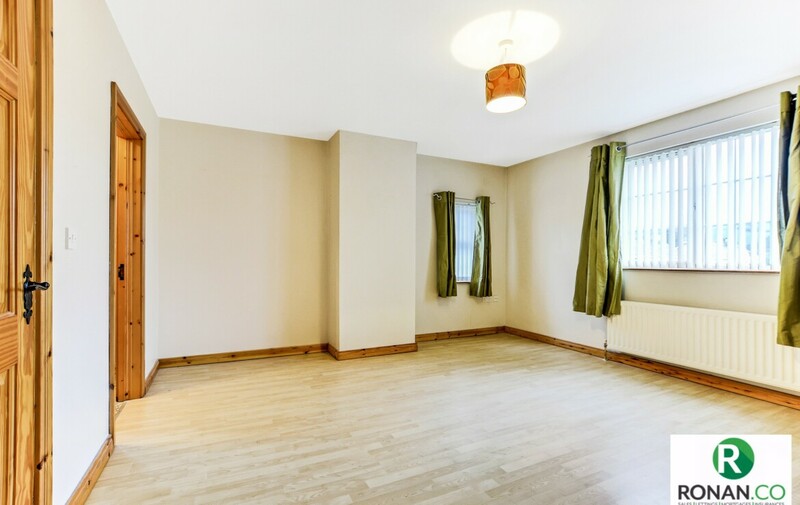 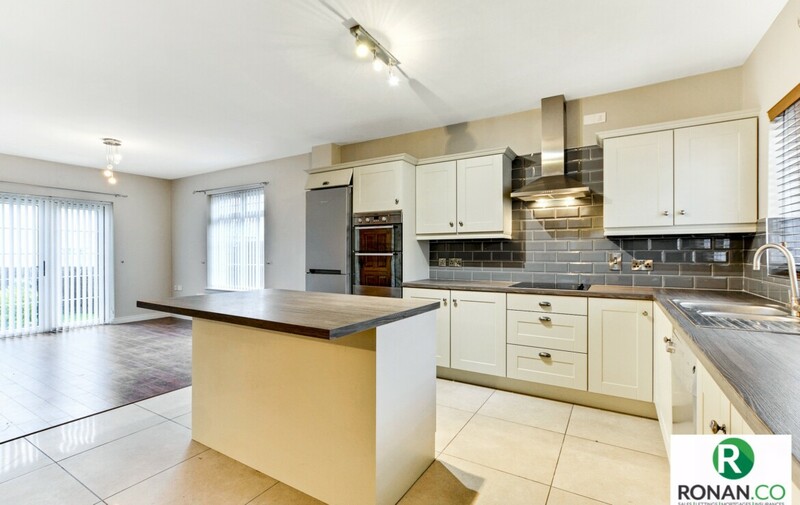 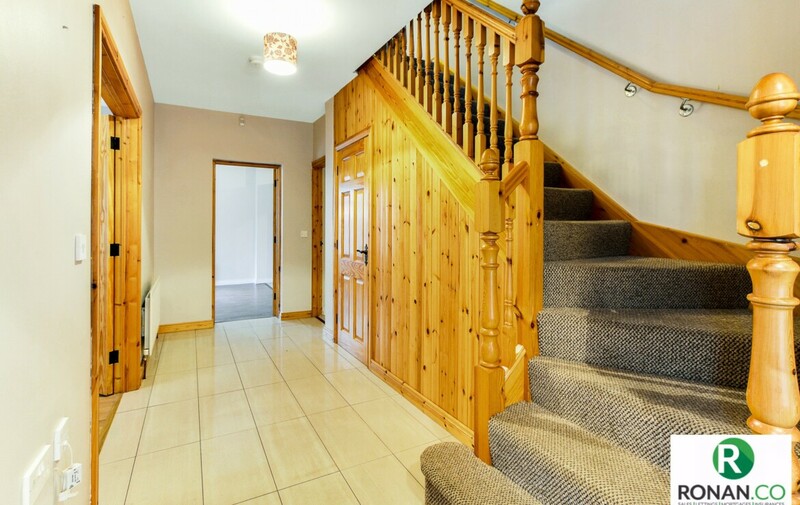 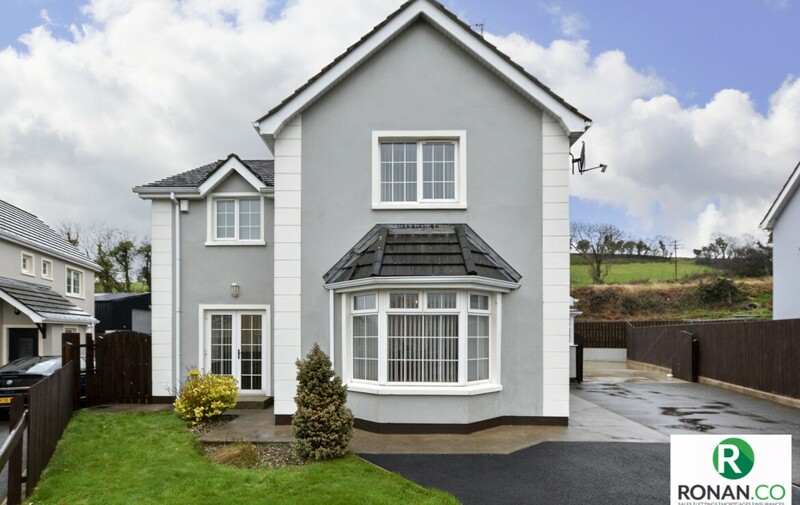 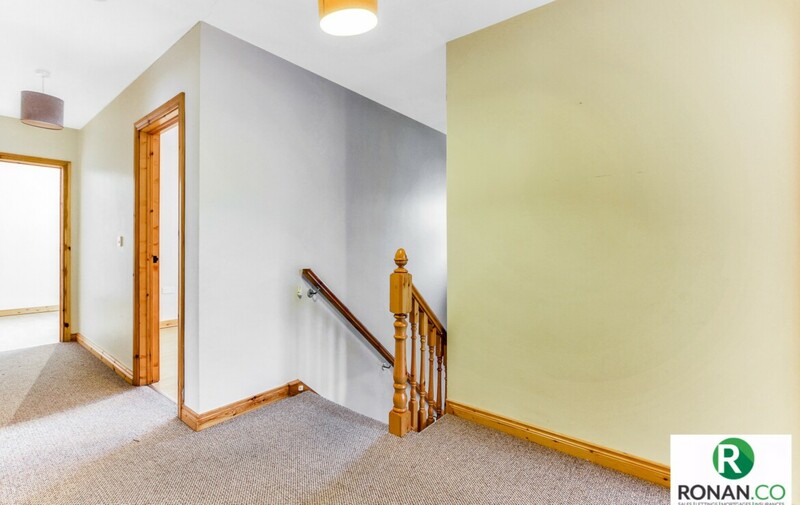 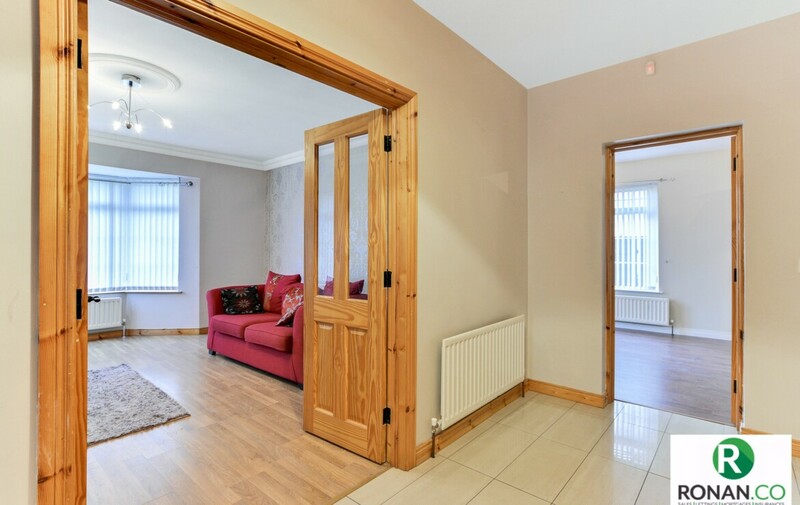 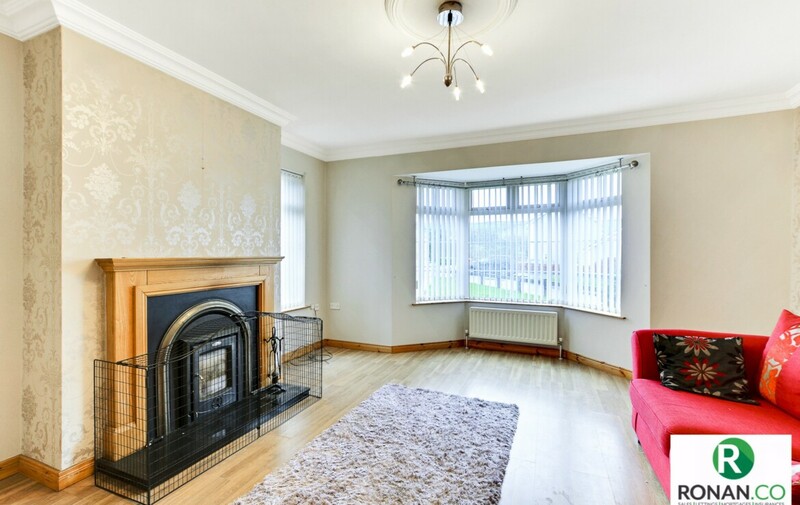 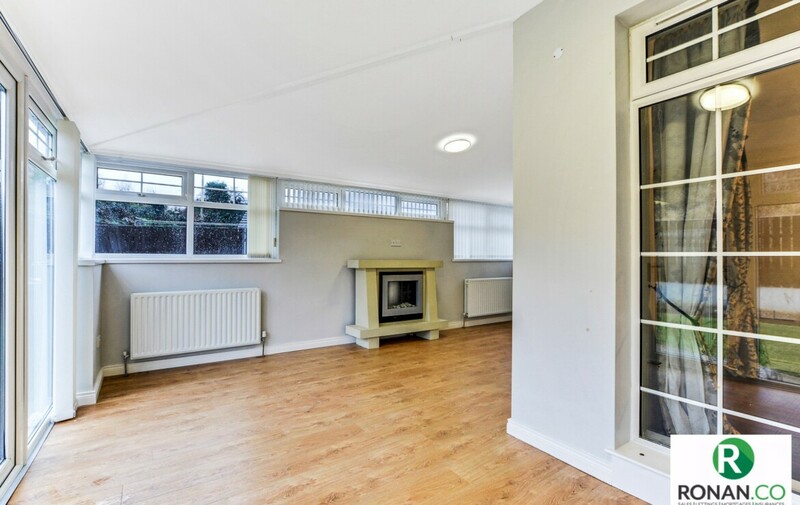 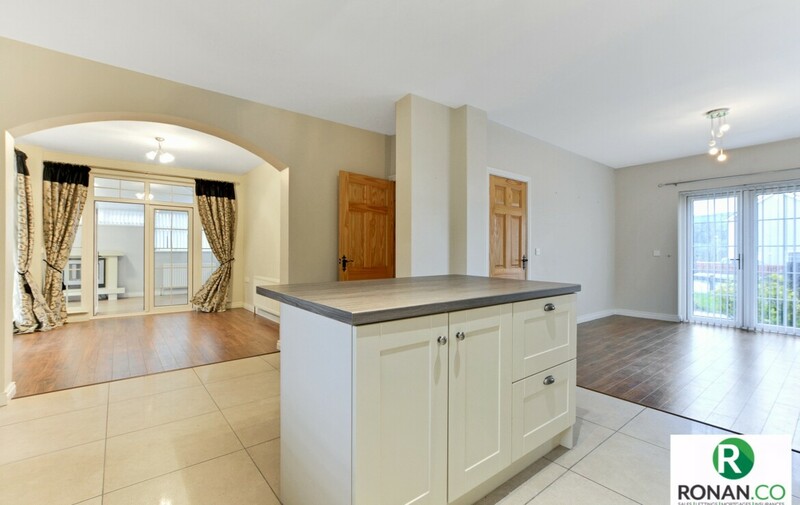 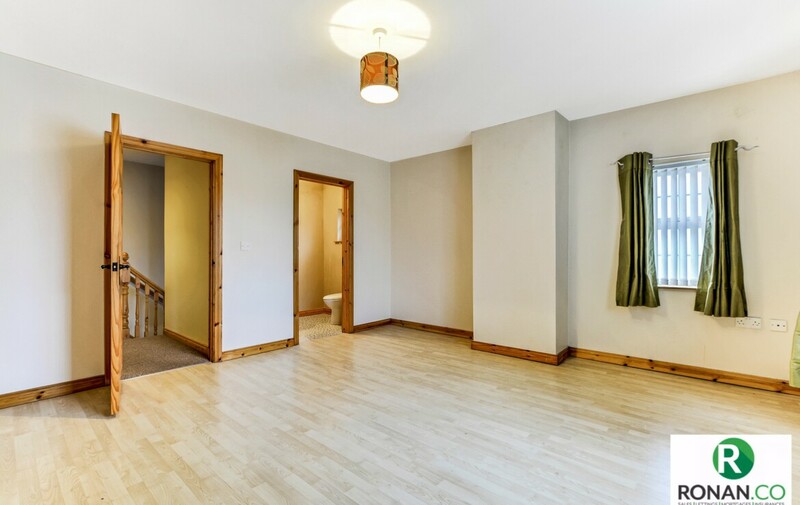 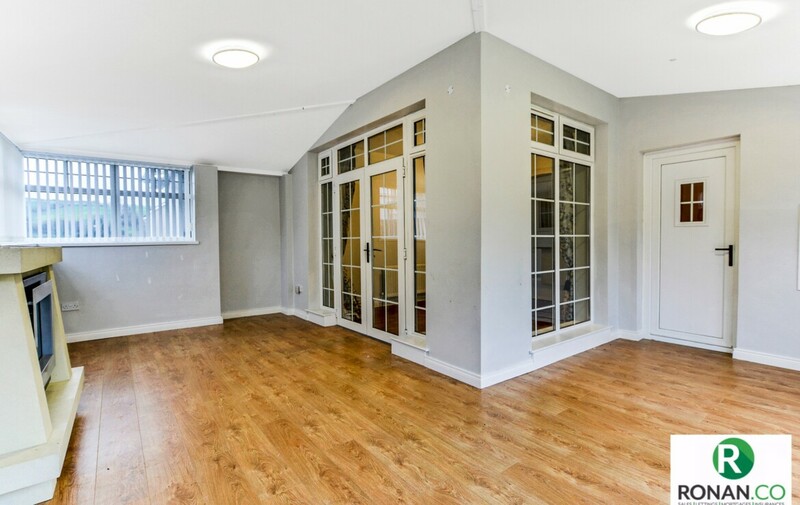 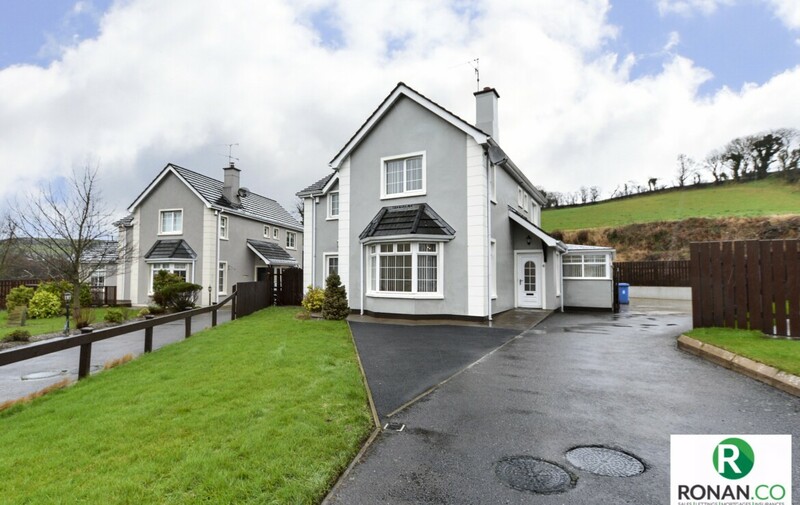 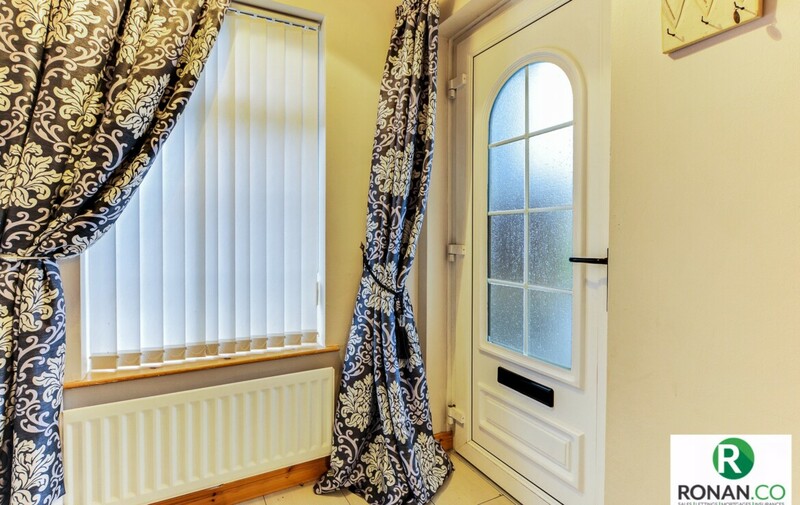 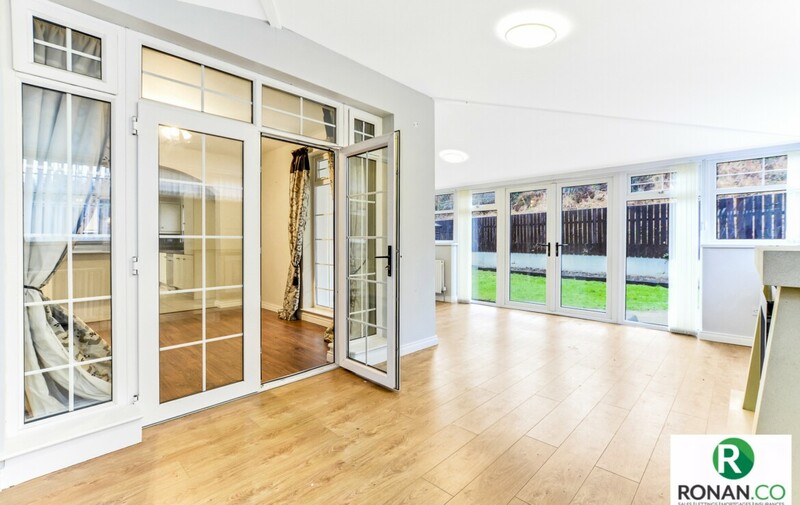 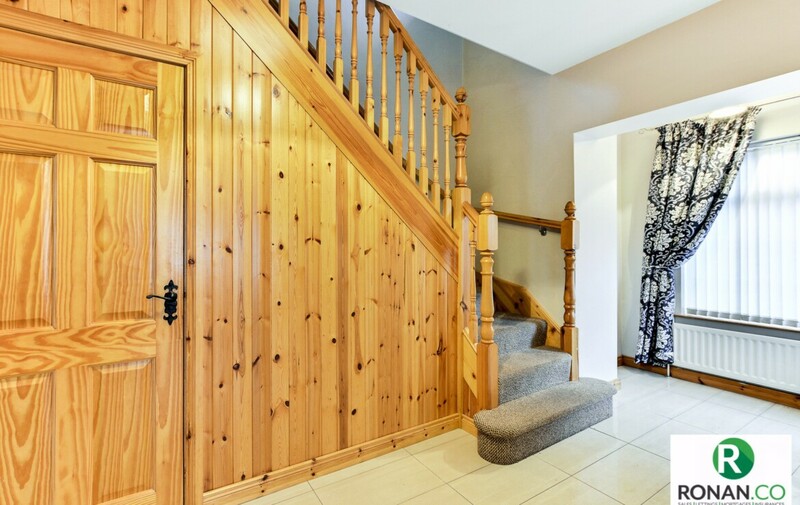 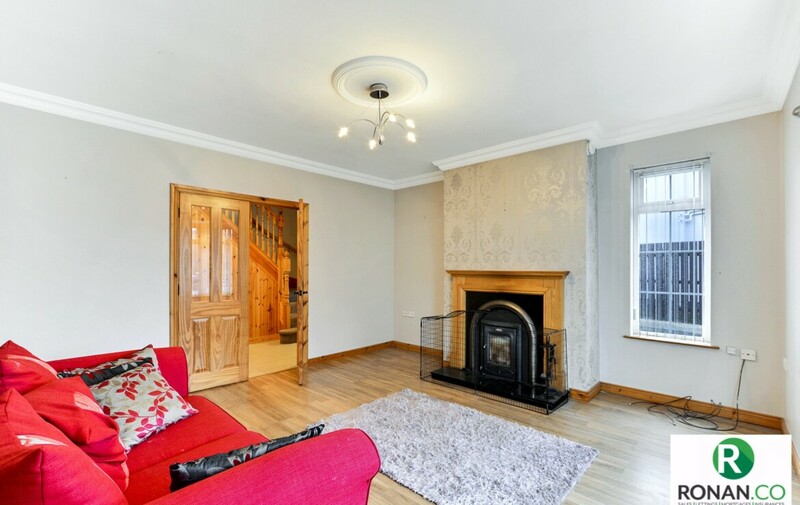 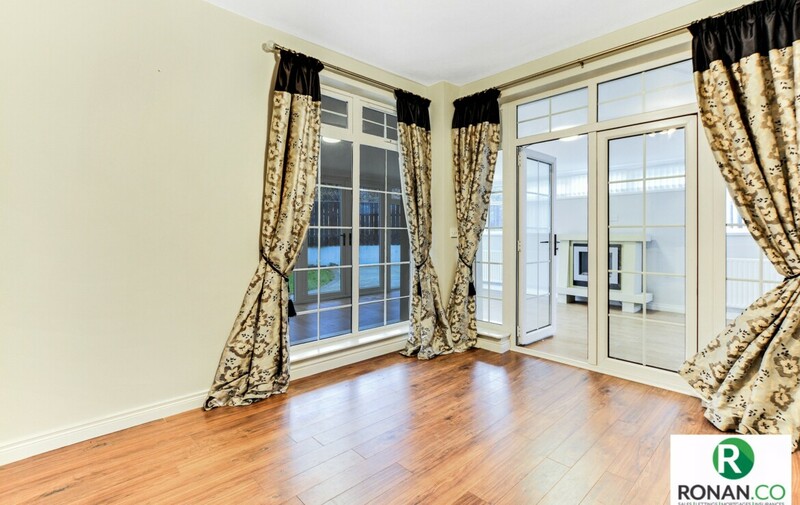 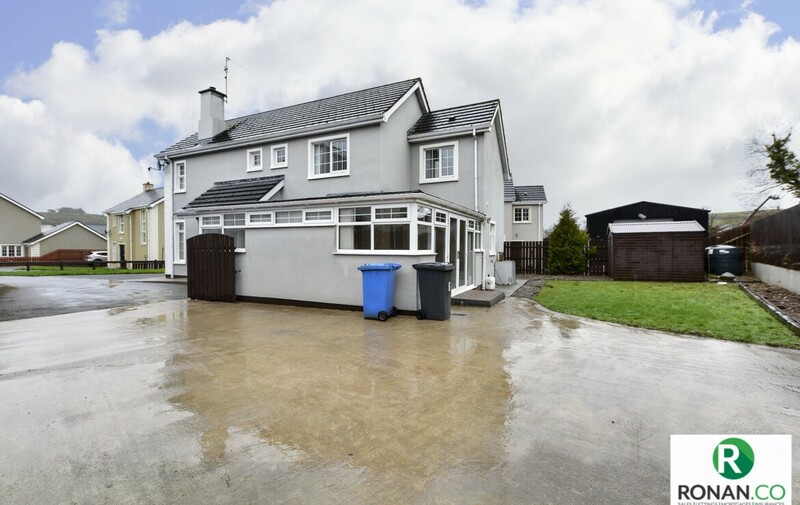 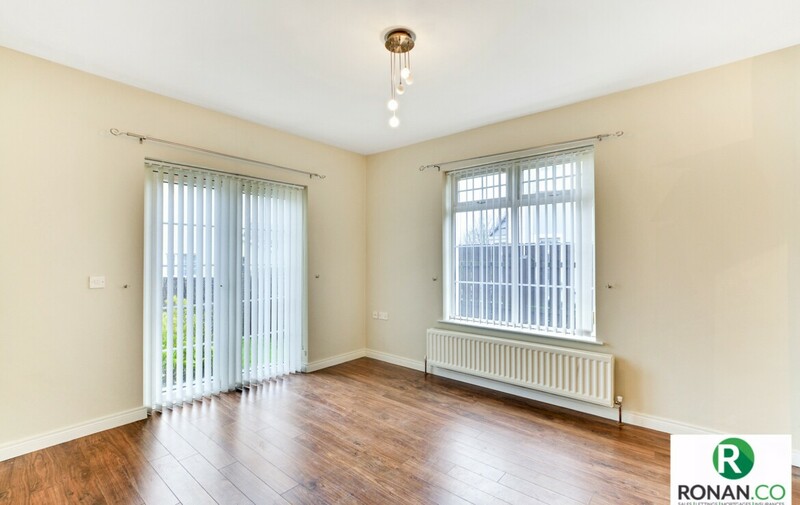 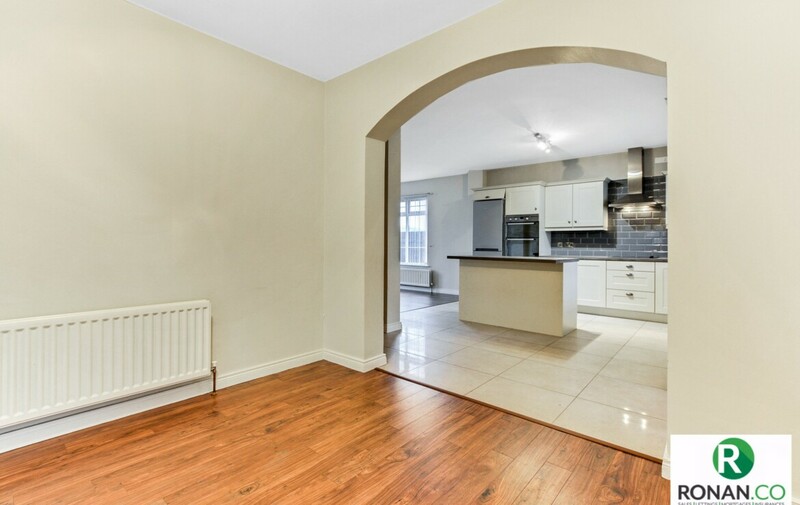 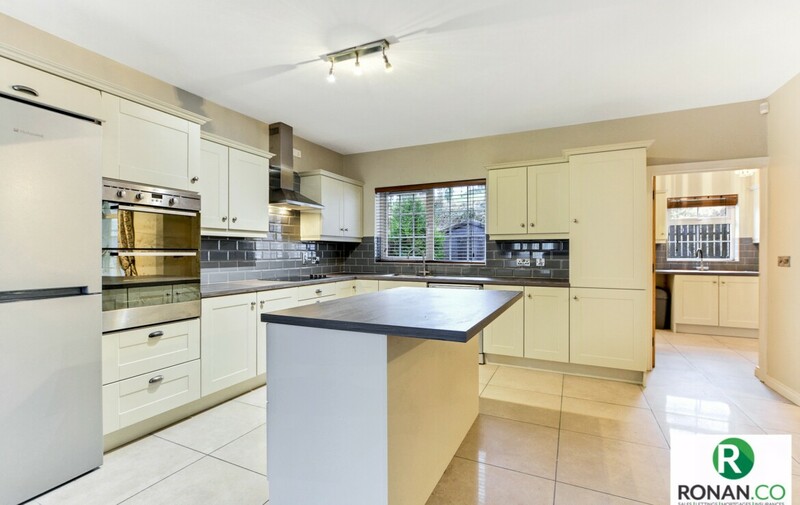 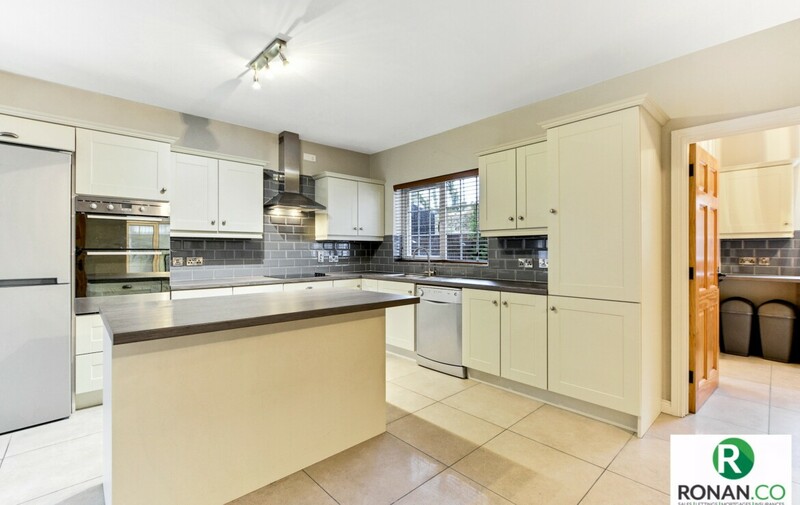 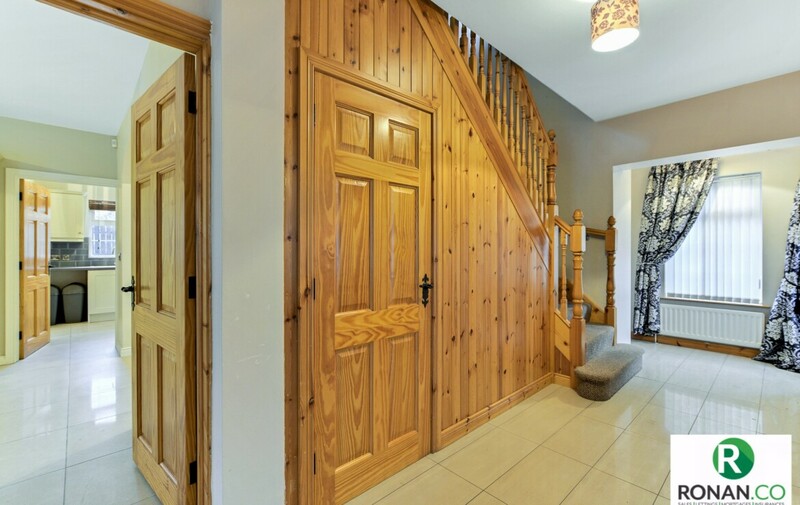 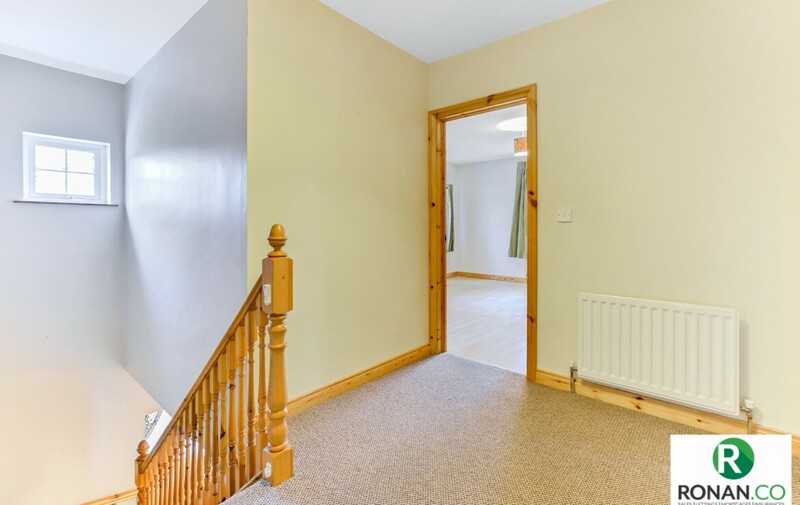 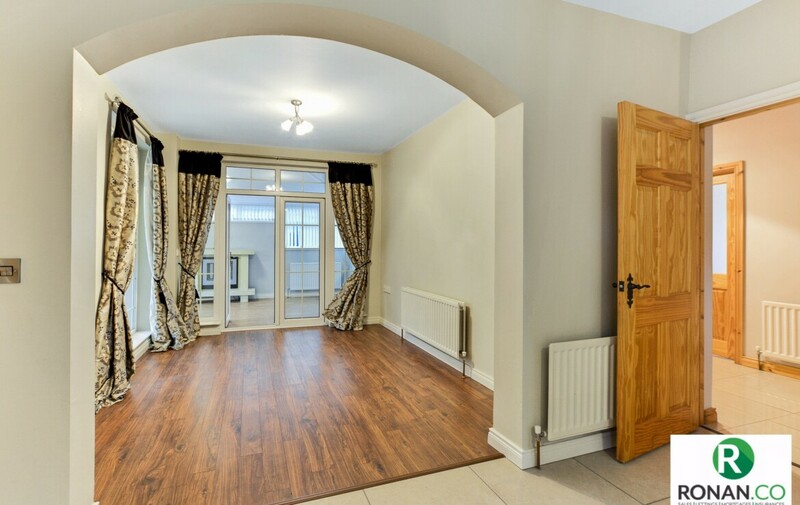 Ronan McAnenny Ltd offers for sale this extended detached four bedroom home with three reception rooms in Glenmornan, County Tyrone. 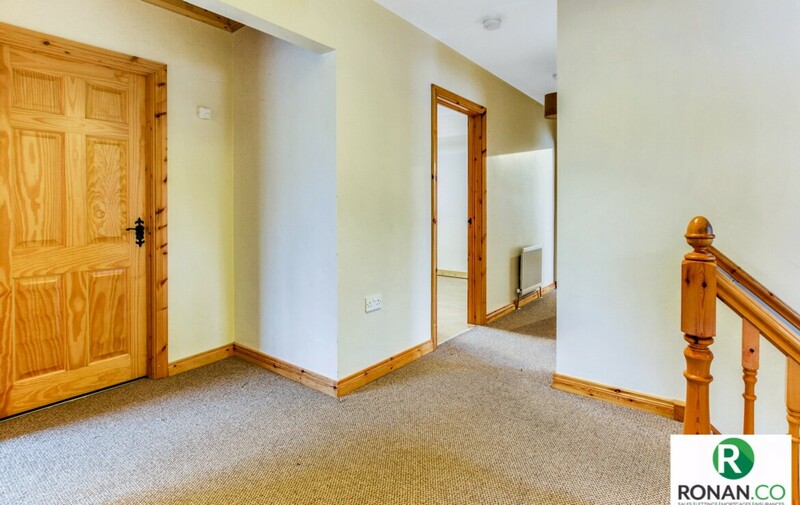  Glenmornan is a hamlet with Church, football club, shop and community hall located approximately five miles from Strabane town centre where all local services and amenities are at hand. 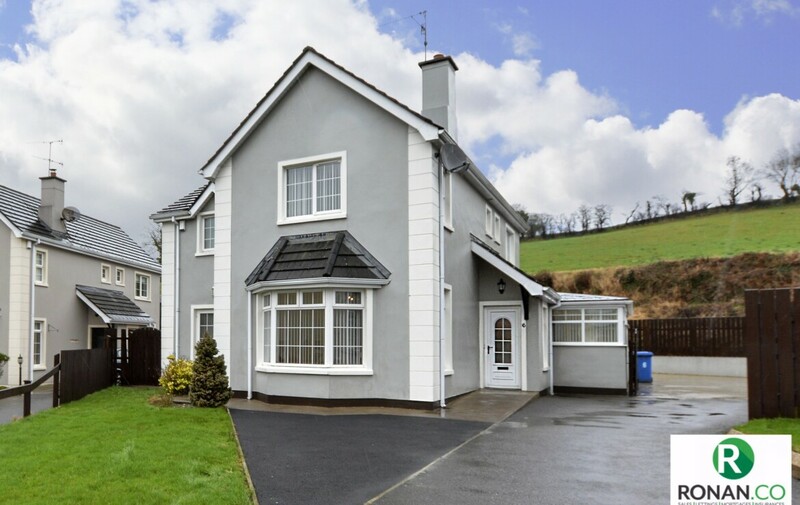 Alternatively, residents of Glenmornan can reach The Culture Capital of Derry City within about twenty minutes by car. 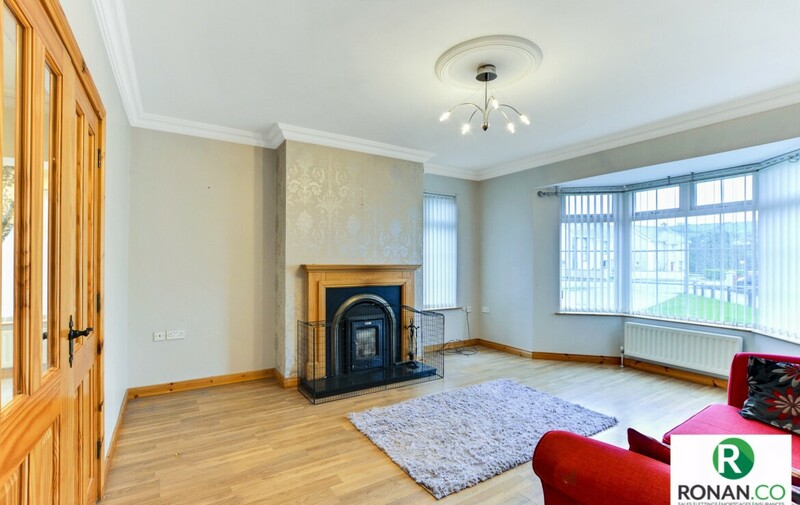 Laminate flooring, wooden fire surround with metal insert, stanley stove and two double radiators. 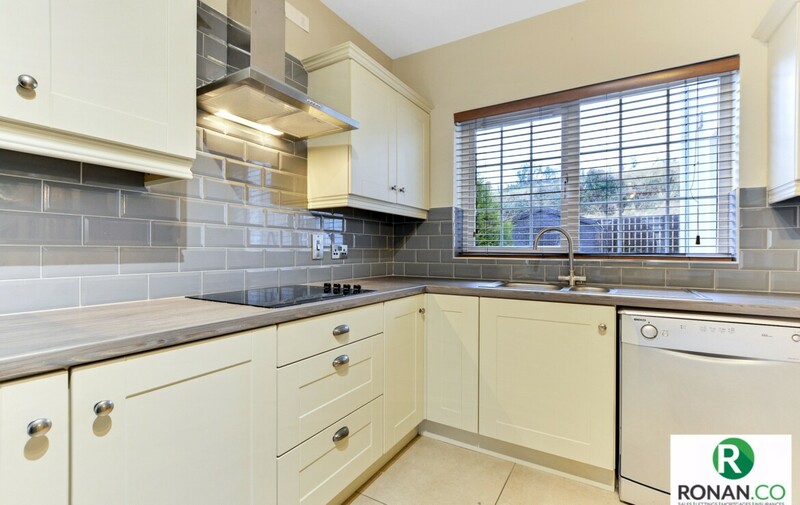 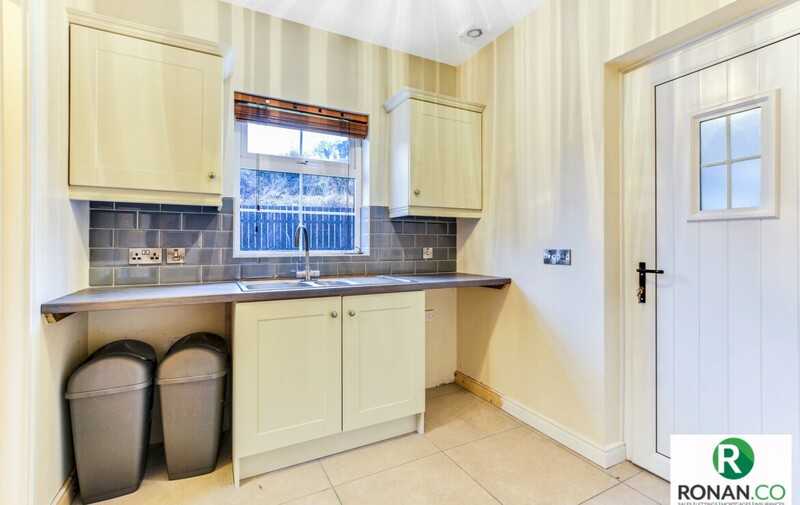 Tiled walls and flooring, electric hob & double oven, freestanding fridge/freezer. 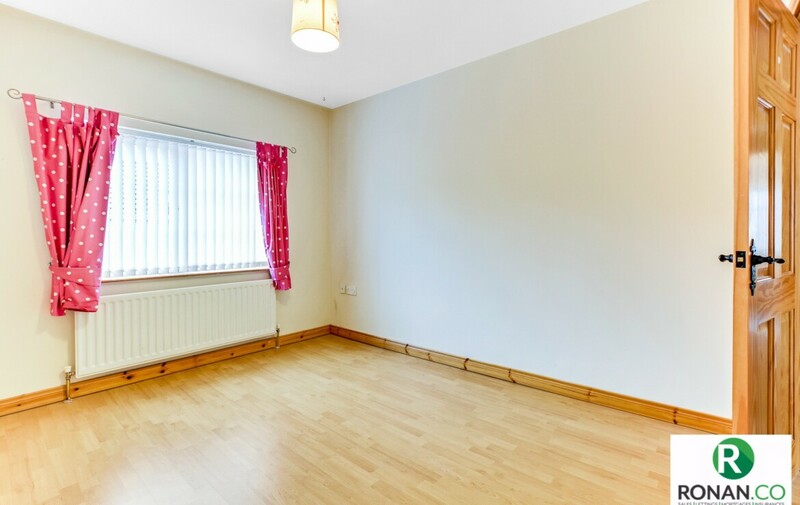 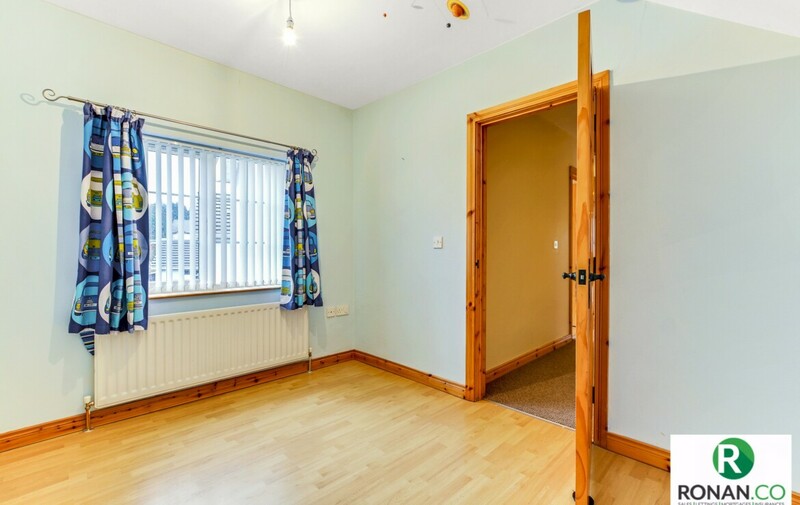 Laminate flooring, two double radiators, electric fire and patio doors. 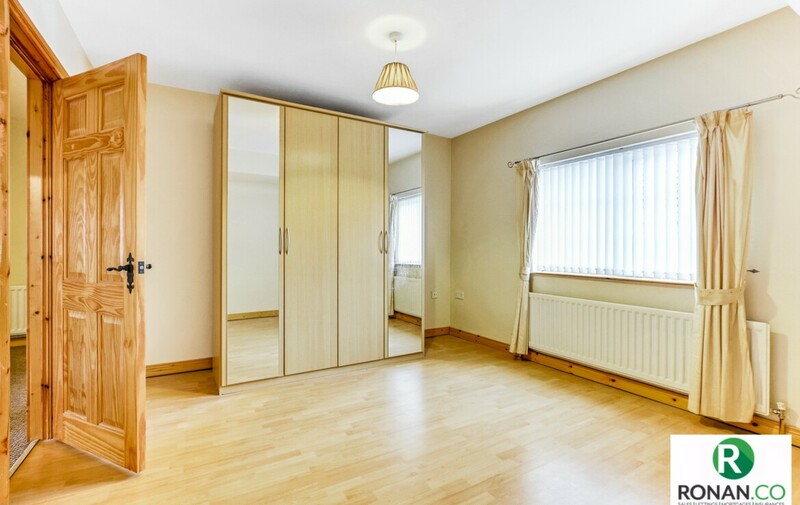 Laminate floor, electric fire insert, double doors to the rear. 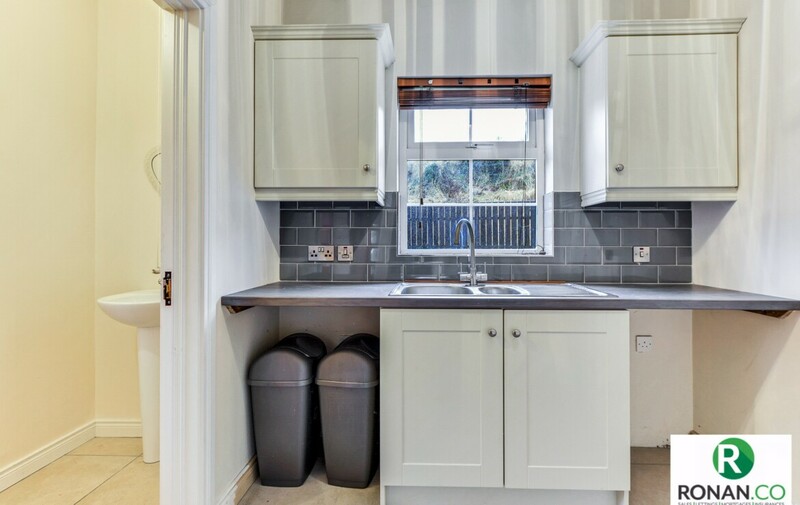 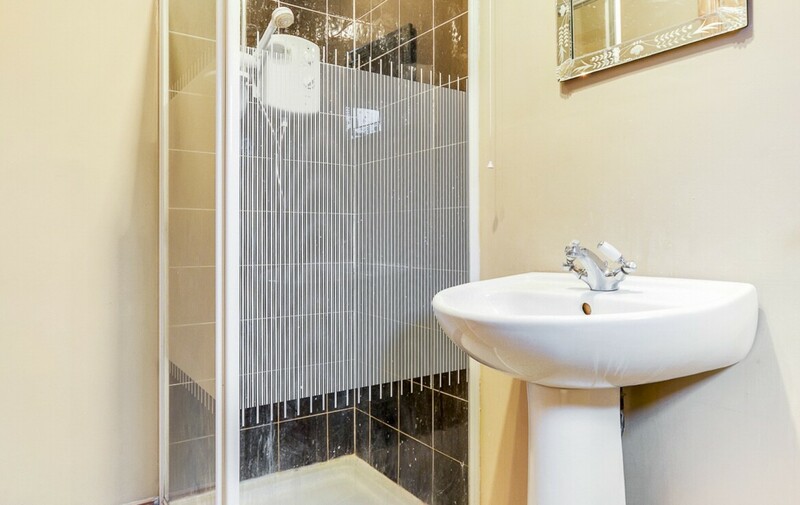 Tiled walls and flooring, high and low level cupboards, single radiator, sink unit, plumbing for washing machine and space for tumble dryer. 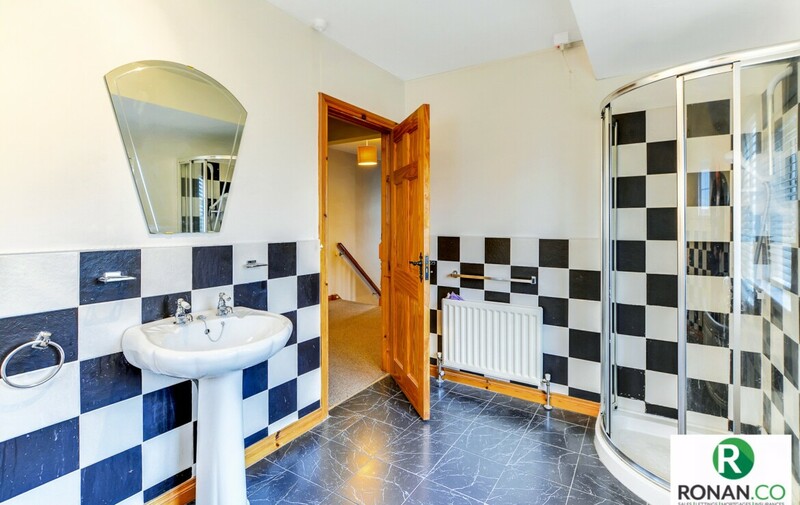 Tiled flooring, WC, wash hand basin and single radiator. 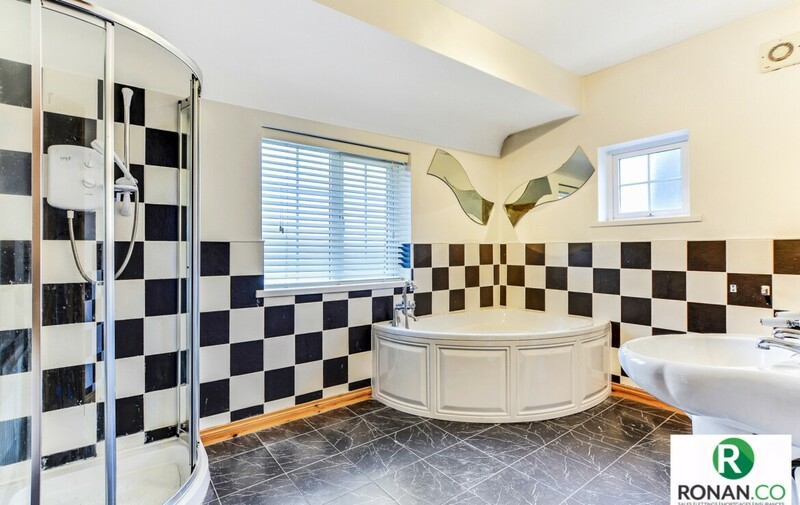 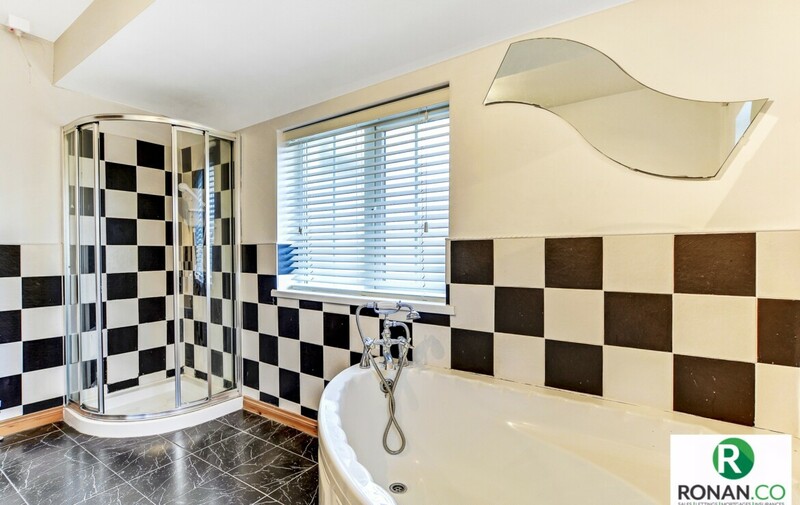 Tiled flooring with partially tiled walls, bath, electric shower and single radiator.